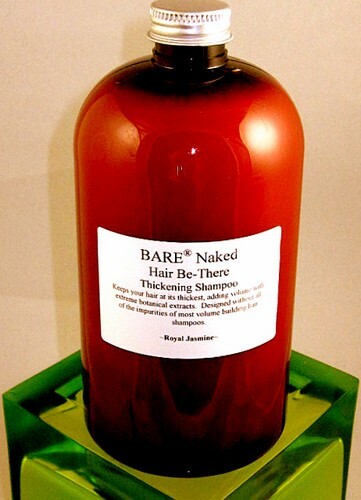 BARE NAKED Hair Thickening Shampoo (sulfate free) - Sulfate free, which is perfect for colored hair. This shampoo uses a combination of hemp, sesame and other omega oils to deliver to your roots and hair an advanced experience to help awaken the hairs on your head! water, decyl glucoside, coco betaine, lauramide dea, lauryl glucoside, emu oil, disodium edta, methylchlorisothiazolinone, methylisothiazolinone, citric acid, sodium chloride, vitamin a, vitamin d, vitamin e, hemp oil, avocado oil, coconut oil.